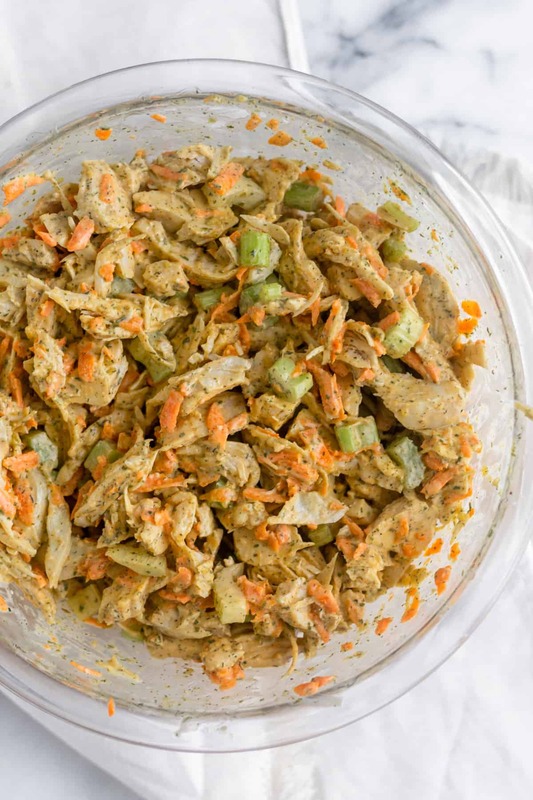 Paleo Buffalo Ranch Chicken Salad combine two classic flavors, buffalo and ranch, into a healthy gluten free and Whole30 approved chicken salad. 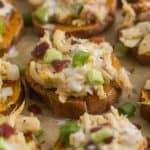 Perfect for meal prep or a quick and easy lunch. 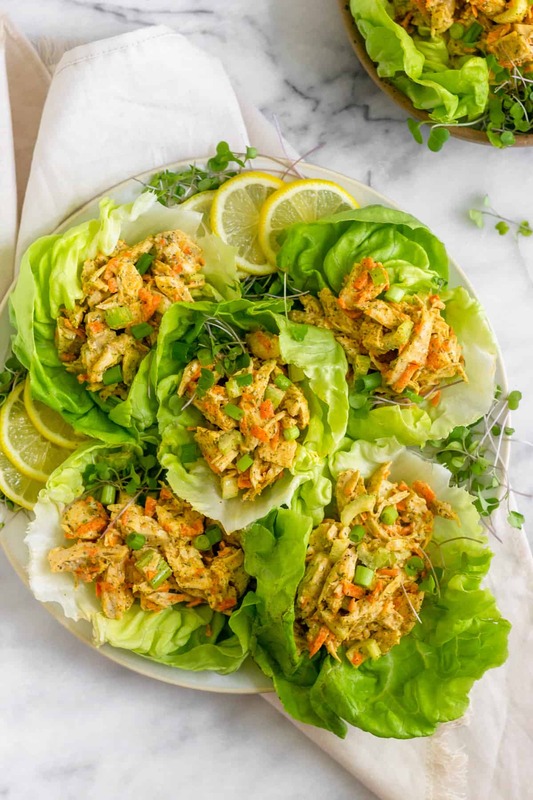 Are you team chicken or tuna salad? To be honest, I was never really exposed that much to either of them. Here and there at BBQs or picnics, but it was never made in our house. My mom didn’t like the whole massive amount of mayo thing you find in most of them and she doesn’t eat meat, so that takes out the chicken salad. I am not really a fan of a bunch of mayo either, so I never really cared to try them. Fast forward a handful of years and making a majority of my own food, I have grown to love them. 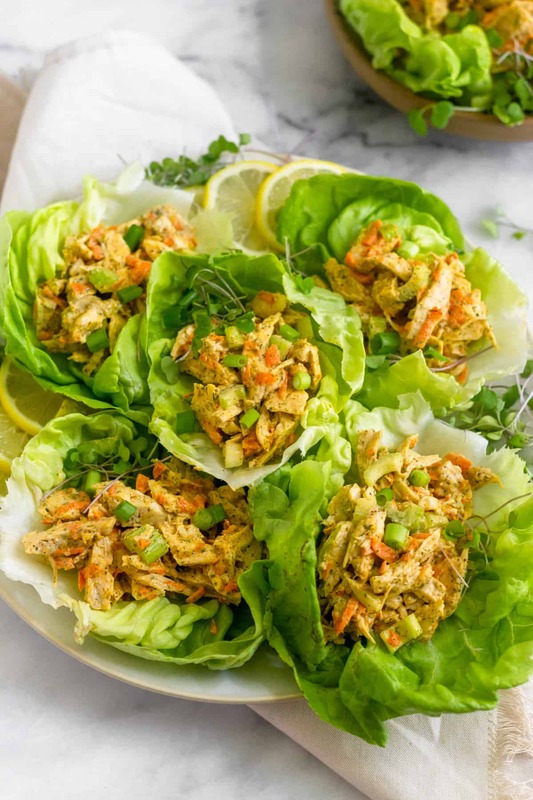 I have always been more of a tuna type of person, but since we always have leftover chicken in the house, chicken salad as become more and more frequent. 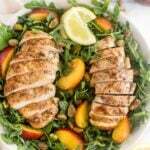 I’ll usually whip up a quick healthy chicken salad for lunch and serve it over some greens and whatever veggies we have on hand or in lettuce wraps. 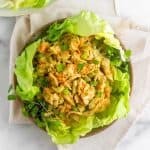 I’ll experiment with different flavors, but this paleo buffalo ranch chicken salad quickly become a favorite and it’s so easy I knew I had to share. The key to making this so easy is to have prepped chicken on hand. 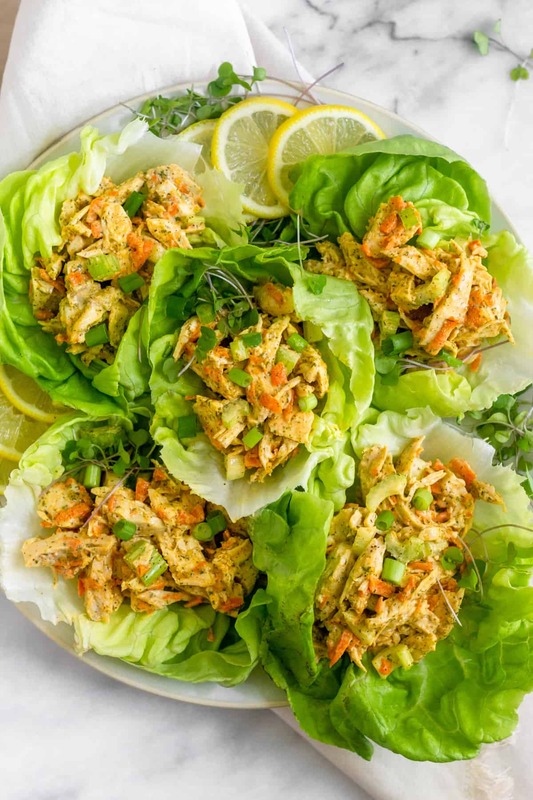 It’s a staple in our house and makes for easy repurposing for different meals throughout the week, like chicken salad. Besides that, all you need to do is mix up everything and serve it however you like. 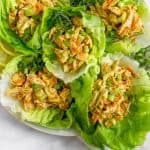 It’s great for topping salads, in wraps, in lettuce cups, or you can even throw it in a sandwich if you are not doing the Whole30. 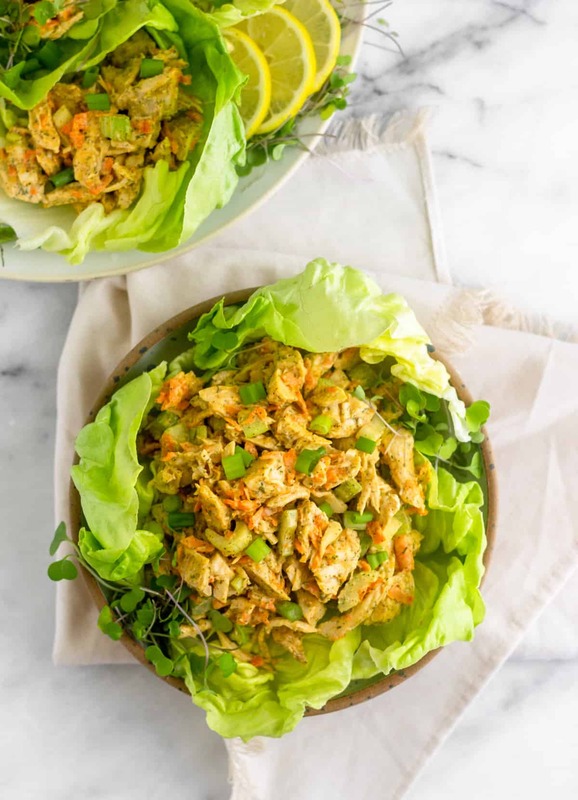 This paleo buffalo ranch chicken salad makes a great option for a quick lunch or dinner or meal prep. Make a big batch in the beginning of the week and serve it in the different ways I mentioned above to keep it interesting. Keep in the fridge in a tightly sealed glass container for up to week and serve it as you please! 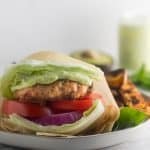 Paleo Buffalo Ranch Chicken Salad combine two classic flavors, buffalo and ranch, into a healthy paleo and Whole30 approved chicken salad. 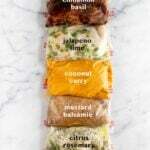 Perfect for meal prep or a quick and easy lunch. 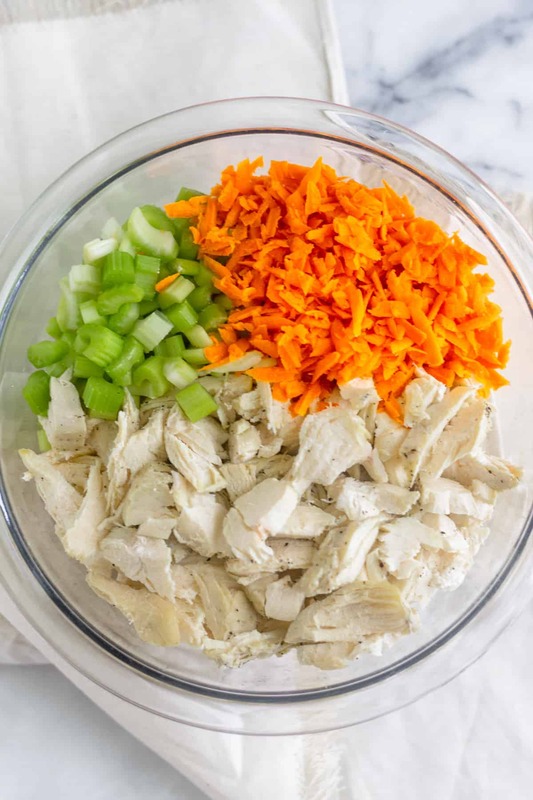 In a medium size mixing bowl, add chicken, celery, and carrots. In a small mixing bowl, mix together the mayo, buffalo sauce, ranch seasoning, lemon juice, and salt and pepper. Adjust according to taste. Add to chicken mixture and mixture well to combine. 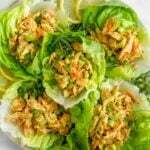 Serve in lettuce cups, on a salad, or however you like. 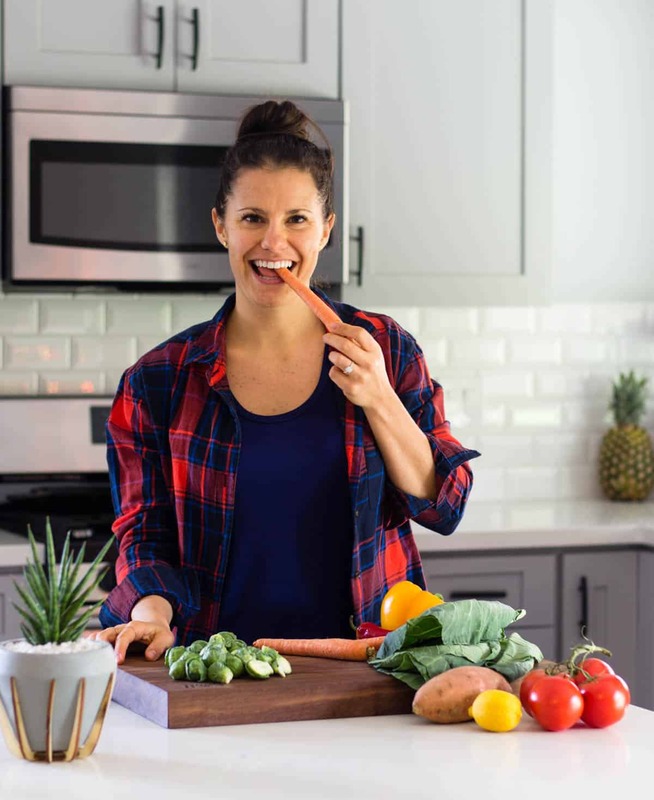 Store in a tightly sealed glass container in the fridge for up to 5 days. Very delicious! I added some fresh chives from the garden. Thanks for the great recipe! So glad you liked it Sarah! Love the addition of chives too! The ranch seasoning packets are no longer available! Any substitute? Amazon links are a plus!